The full list of updates is available in the updates.html file, which is a part of the product distribution kit. 1C:Enterprise Development Tools encompasses a brand new approach to architecture, with a high capacity for implementing new tools, development automation, and usability improvements. The beta version utilizes only a small part of this architecture and has limited functionality. In particular, the beta version does not support some metadata objects. The full list of limitations is included in the documentation available in the beta version distribution kit. The beta version is not yet optimized for the development of large configurations. The optimization is planned for future versions. 1C:Enterprise Development Tools version 1.2.1 does not support 1C:Enterprise platform version 8.3.7. 1C:EDT version 1.2.1 is not compatible with projects developed using 1C:EDT version 1.1.0. You can convert a project developed in 1C:EDT 1.1.0 to 1C:EDT 1.2.1 format by importing its configuration from an infobase or from an XML file. 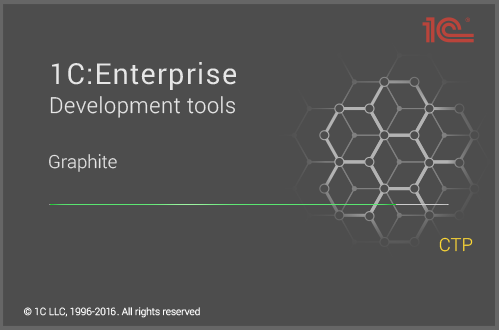 1C:Enterprise Development Tools release is scheduled for the first quarter of 2017. More beta updates are scheduled up to this point. The demo version includes only a portion of 1C:Enterprise 8 Designer functionality. Some of the metadata objects and development tools are not implemented in the demo version, while implementation of other objects is not final. This 1C:Enterprise Development Tools version is aimed mostly at 1C:Enterprise application developers. It is not suitable for fully-featured application development, it is intended solely for evaluation of new tool’s concepts and technologies as well as for development of simple configuration. Please send your comments and suggestions to int@1c.com. The error log file. It is available in the .metadata workspace directory, the file name is .log. If the directory contains files with names like .bak_0.log, add all these files to you report. Alternatively, you can switch to the Error Log view and click the Export Log button. The full archive of your workspace or project directory.